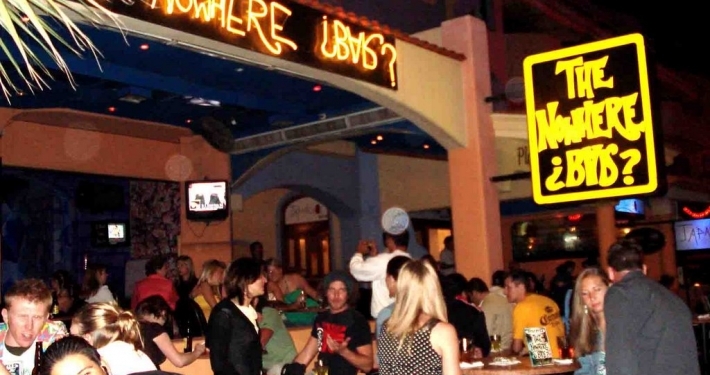 Well-known as one of the top local bars in Cabo with a dance floor, DJ, and good atmosphere, the Nowhere Bar is a great place to hang out and enjoy Cabo. Where is Nowhere Bar located? 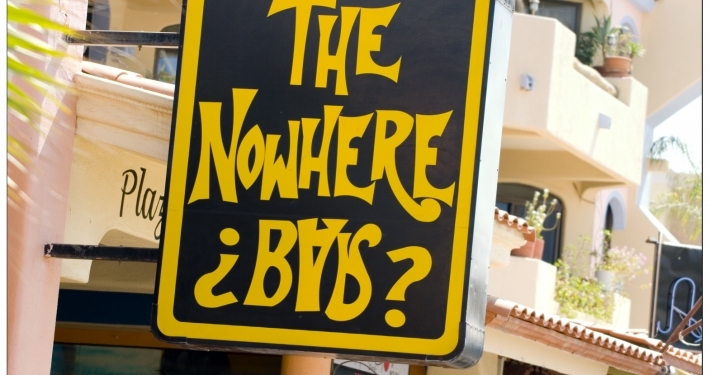 Nowhere Bar is located by the marina at Blvd.Marina No.17 Local 12-A, Cabo San Lucas. How much is cover charge at Nowhere Bar? Nowhere Bar does not charge cover. Bottle service requests are available and entry is at the doorman’s discretion. How long will I have to wait at Nowhere Bar? When is Nowhere Bar open? Nowhere Bar is open every day from 11am-4pm. 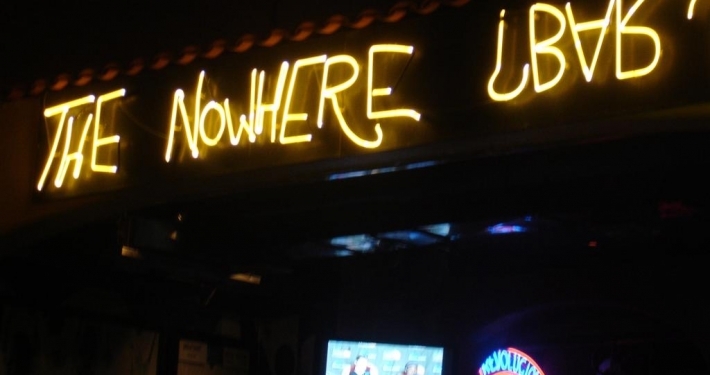 What are the best nights to go to Nowhere Bar? Fridays and Saturdays are usually the best nights to go to Nowhere Bar. What is the dress code at Nowhere Bar? How much do drinks cost at Nowhere Bar? Expect to pay 5-10 for cocktails, 150-200 for bottles. What kind of music do they play at Nowhere Bar? Nowhere Bar features mostly top 40, Latin, with a mix of EDM and hip hop. Where can I find a list of upcoming events / DJs at Nowhere Bar? 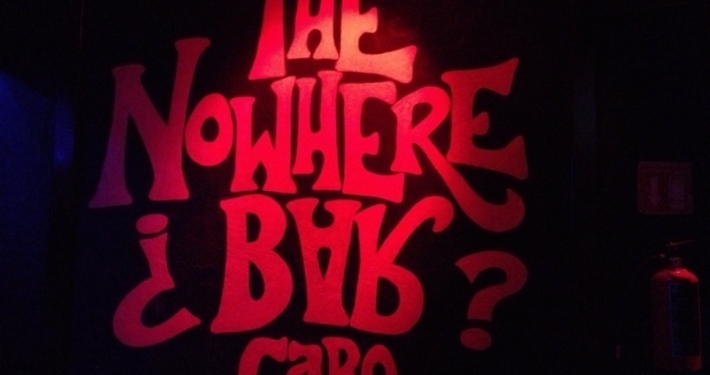 You can download the Discotech app to see upcoming events, and book tables for The Nowhere Bar.